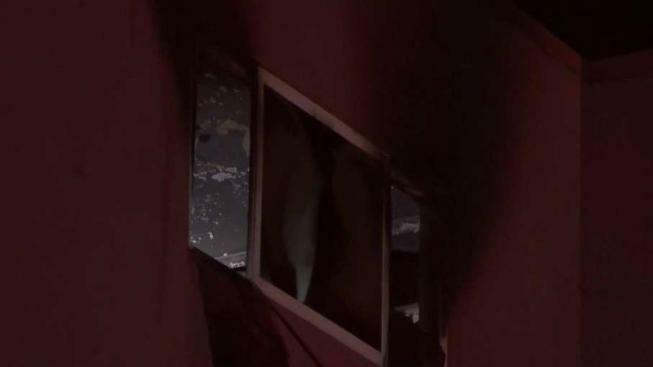 One person was killed after a fire ripped through an Oakland apartment early Wednesday, according to fire officials. Anser Hassan reports. One person was killed after a fire ripped through an Oakland apartment early Wednesday, according to fire officials. The blaze broke out just before 4 a.m. inside a four-story apartment building located along the 400 block of Fairmount Avenue, fire officials said. Fire crews were able to contain the blaze to one apartment unit, but one person was killed, according to fire officials. The unidentified victim, who neighbors say is a man in his late 60s, was found outside the unit that caught fire, fire officials said. One resident tried to save the victim, but the flames were too intense. "I went and got my fire extinguisher, woke my mom up, told her to get up, and I tried to go spray it but it was too hot for me to get close so I just commit to getting my mom and my dogs out the house," the resident, who did not want to be identified, said. Some residents said fire alarms did not go off after the blaze ignited. They were woken up by the smell of smoke and people yelling. The blaze is under investigation.